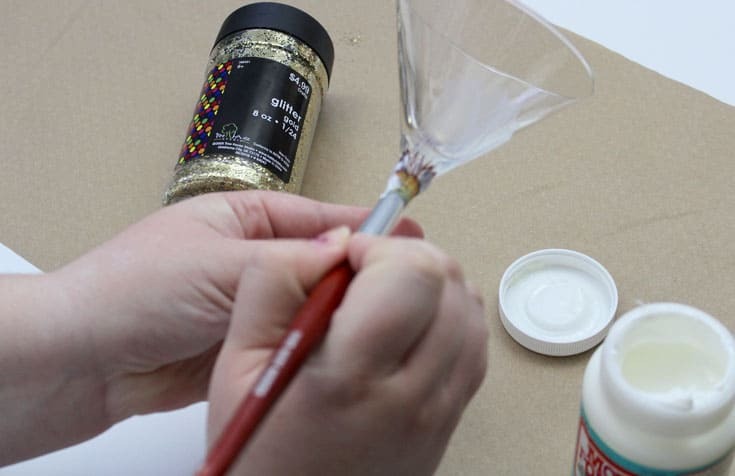 Make glitter glasses for Christmas, New Year's Eve, or any other celebration using Mod Podge Dishwasher Safe and this tutorial! 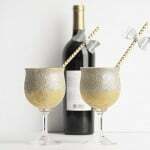 Okay, I don't know that these glitter glasses make your cocktails taste better, but I certainly feel like they do. I usually make these for the holidays, and I guess everything tastes better during the holidays perhaps? I love the holidays – and glittered everything is my true love. Glittered wrapping paper, glitter glasses, ornaments — EVERYTHING. The best thing about glitter is that you can DIY glitter everything in your life, and that is the kind of DIY I like to get behind. 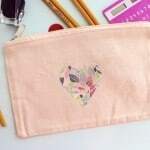 In case you aren't sure who this glitter-obsessed girl is over here — hey, I'm Heather and I'm the crafty mind behind craftandtell.com. Nice to virtually meet you! 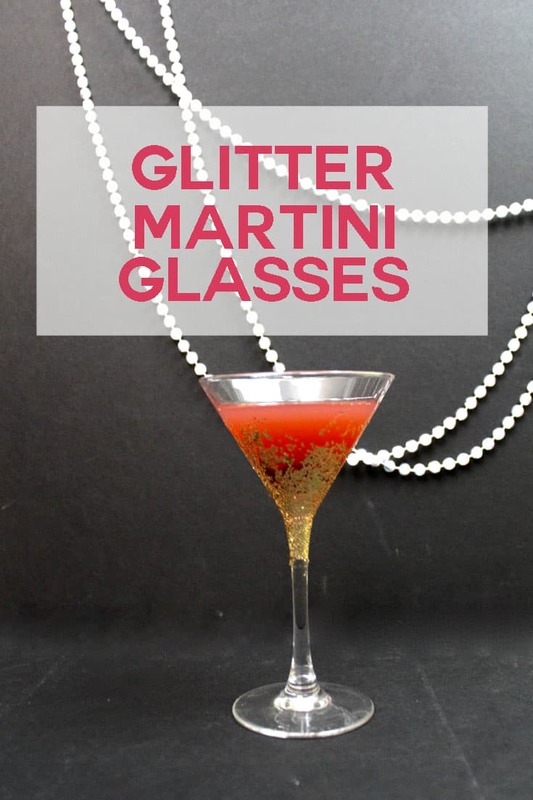 Today, I want to show you how to make these gorgeous DIY martini glitter glasses. I'll be honest – I'm not much of a drinker… but I love the looks of them! Sometimes if I'm just hanging out with my girlfriends, I will pour a glass of raspberry tea in a fun glass like this. 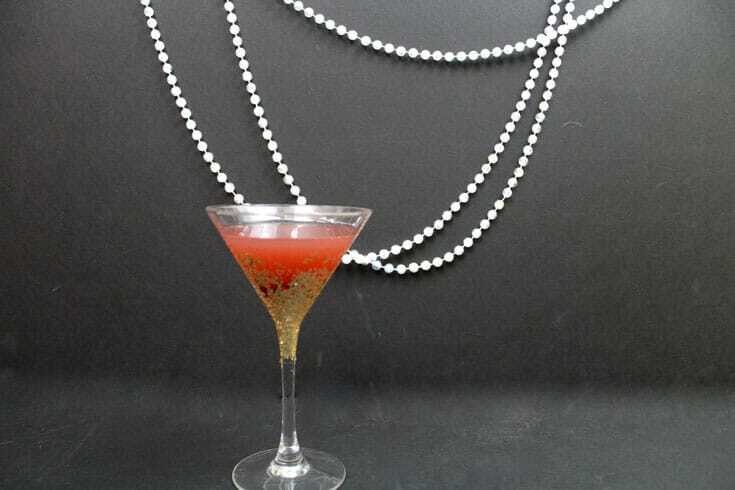 However, if you are into fancy pants cocktails, check out my recipe for a simple cocktail – a Velvet Elvis. 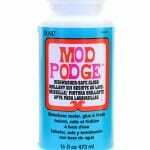 First, on a covered space, apply your Mod Podge to your glass. I wanted an ombre effect, so I didn't paint a straight line. 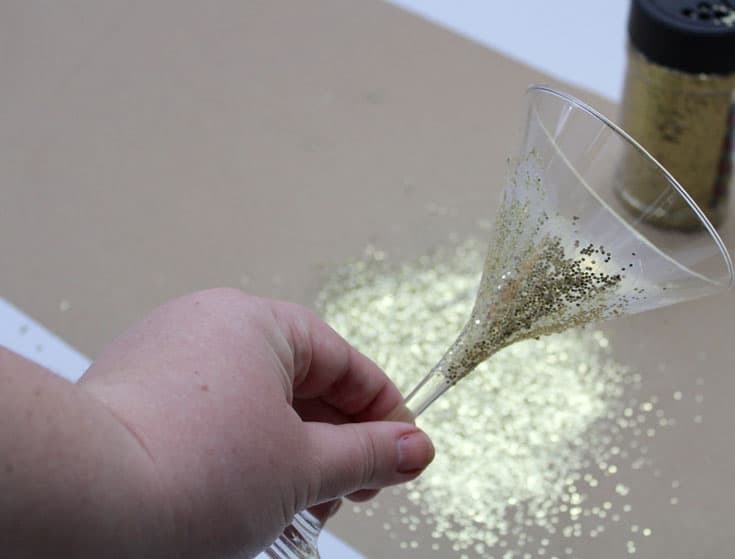 Once all the areas are covered, pour your glitter over your glass evenly. 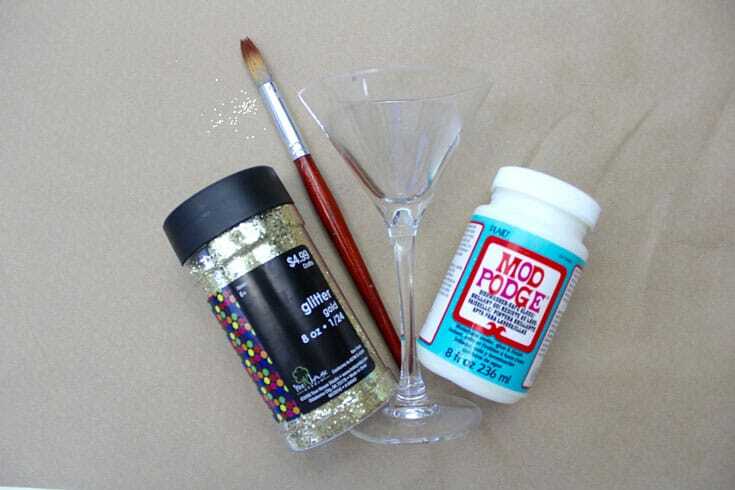 While your Mod Podge is still wet, apply more Mod Podge and move the glitter around until you get the desired effect. Let fully dry, then apply another layer of Dishwasher Safe Mod Podge. Let fully dry, and then cure before use according to package directions. Dishwasher Safe Mod Podge is my favorite formula! If there's any Mod Podge I reach for, it's typically this formula. You can see my Paint Dipped Utensils and also these fun coffee mugs that I made with it! Have you ever made anything with Dishwasher Safe Mod Podge? Comment below and let me know! 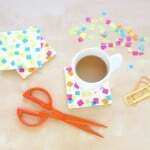 Want to learn more about Dishwasher Safe Mod Podge and get some project ideas?? Go here! 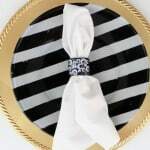 All About Dishwasher Safe Mod Podge – Tips & Tricks!